Types of Daycare - How will YOU Specialize? There are several types of daycare. Every home daycare is personalized by the provider in charge. Your experience, skills, and schedule will determine the type of daycare that you provide. All daycare homes are unique in this way. You'll need to determine which of the types of daycare you will provide. Choose from the list of age brackets and scheduling options to find the daycare type to fit You. No one knows better than you what will be the perfect setting for you. Ask the opinions of others if need be, but choose the option you know that you will feel most comfortable with. Parents are looking for a variety of daycare options. So... make your daycare unique based on the person you are. Be the provider you know you can be, and not some version of what you think parent's are looking for. The first question to ask yourself is... What age children do you most enjoy? How about infants? Do you love the smell of baby powder, cuddling in a rocking chair and those endearing little smiles? Or do infants just make you think of non-stop crying and a host of dirty diapers? What about toddlers? They are naturally very inquisitive and fascinated by anything and everything. Although their verbal skills are not perfected, they can usually be redirected quite easily if their behavior goes off course. Preschoolers? So much learning takes place in this stage. 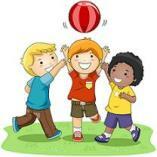 At this age children are willing to participate in group games and learning activities. It is also the stage during which they truly realize they are people in their own right and begin to assert independence. School age children? Potty training days are long over but personalities are fully intact. Once you determine which age group (or a combination of these) is the best fit for you, it's time to create your own personalized daycare. What type of daycare schedule fits best with your family life? Are you willing to offer the basic, Monday through Friday, schedule? Realize that this means you will be working more than the regular 40 hour week. This is the schedule I operated under, and because I was open for business from 6 am to 6 pm, I was working a full 60 hour workweek. Extra hours are also needed for bookkeeping and meal/activity planning. *Should you choose this option, you'll want your daycare to stand out from others offering the same arrangement. Will you offer weekly crafts, a preschool curriculum, exercise program, or an all natural (organic) menu? Decide what you can offer and make sure it's on all your advertising material. Parents want to know that your daycare is benefiting their child in some way. Some providers who have husbands working the afternoon/evening shifts have opted for strictly after school care. One provider had the children get off the school bus at her home, and all the children were picked up by 6 pm. Still another, who provided care for her husbands co-workers, kept them until the work shift ended at 11pm. Can you provide homework help? Are you skilled in English or Math? Can you make learning fun? If so, you may be providing a bonus for parents who may not have the time or inclination to help with homework. All types of daycare need not be open during daytime hours. Depending on where you live, there may be a need for overnight care. Many parents work the night shift when it is almost impossible to find daycare. You will, however, need adequate space for sleeping. Another option is to offer part time care only. Some parents have their schedules worked out so they only need daycare one day a week. Many parents would welcome a daycare where they could drop off the children for a few hours to attend to errands. The drawback to this type of care is that you will not have a guaranteed income to count on. Your income will be based on how many parents call in any given week. A bonus, however, is that you can easily plan your care around your own schedule. If, for example, you have a couple of appointments on Tuesday for yourself, it's easy enough to tell any parents that call, that you are already booked for Tuesday. Many parents work weekends, another time it is hard to find child care. Because you are offering a program they are unlikely to find somewhere else, your fees should be slightly higher. One former registered nurse, who started a daycare program, took in children with medical problems. Although she had fewer children, she was able to charge more for specialized care. Decide on which of the types of daycare you will offer, based on what will work best for you. Realize that your own skills and family life will factor highly in the decision you make.